Our team is dedicated to serving our clients’ unique needs by helping you understand your exposures, minimize your losses and increase your overall profits, while providing unparalleled service. We work with you to develop a culture of safety, ensuring that appropriate coverages and essential components for increased competitiveness and profitability are in place. Our service delivery platform addresses ALL exposures by employing tactical, technical and strategic methods, supported by powerful, customized analytic tools. Robust, client-centric solutions that manage risk, control costs and deliver peace of mind. Our knowledge extends far beyond standard commercial insurance products. We believe in a comprehensive, full-service approach to our account management responsibilities. We choose to reinvest our revenues in resources designed to provide long-term benefits to you and all aspects of your business. Highly focused brokerage advice and personalized service. It adds up to top quality risk management programs that get results and minimize your total cost of risk. Our services are delivered in a customized plan, uniquely designed to meet the specific needs of your business. We hold ourselves accountable for delivering everything we promised. It’s one of the reasons our clients choose to stay with us, year after year. 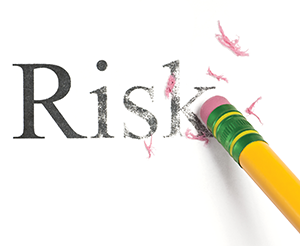 The best way to keep insurance costs down is by identifying and mitigating risks. Before we make a single recommendation,our Risk Control team will conduct a thorough analysis of your operations — past, present and future. When you partner with us, we provide a comprehensive suite of services to help you manage your risk, build positive ratings with regulatory agencies, and establish a favorable claims history. What does this mean for you? A smart, well-designed risk management plan that improves your safety performance and advances your organizational objectives. The Claims team at Wood Gutmann & Bogart will act as your liaison with the insurance company adjusters responsible for your claims. We will work with you to gain an appreciation of your business and claims requirements. We tailor a range of services to provide the solutions your business needs. Our claims professionals will correspond regularly with the carrier adjusters and periodically meet with you to review results, strategize and even coach your internal managers on ways to prevent and mitigate claims. What does this mean for you? Closure. We resolve claims, reduce long-term insurance cost and vulnerability, and ensure a greater peace of mind – so you can focus on what matters. You have a business to run and deals to close. Securing a bond may be the last thing on your mind. Our in-house affiliate, Performance Bonding, understands that bonds are critical to meeting contractual obligations and helps businesses secure the bonds needed to keep their projects moving. What does this mean for you? With our team’s combined 50+ years of surety experience and an extensive resume of bonding many of the largest real estate developments in recent years, the Performance Bonding team is well positioned in the marketplace to secure all bonds required for your project. We understand that our clients may need our help, sometimes long after the regular workday has ended. CSR24 is an internet based risk management communication and resource portal that connects our clients with the insurance information they need, 24/7, via the Internet or CSR24 mobile app. Our Account Managers use CSR24 to electronically store information including policies, endorsements, change requests, Auto ID Cards, vehicle and equipment lists, and other related policy information. Our clients can view policy information, request changes and issue several of their own insurance forms such as Auto ID Cards and Certificates of Insurance – at the click of a button, day or night. Why is this important to you? Checking items off of your list – even outside the regular ‘9–to–5’. Our clients aren’t limited by our hours of operation. We invest in revolutionary resources that help you get stuff done – on your watch. Wood Gutmann & Bogart Insurance Brokers is California's premier, full-service regional insurance brokerage. We provide a complete range of commercial and personal insurance products and services and have been named one of Insurance Journal's Top 100 Independent Insurance Brokers. © Wood Gutmann & Bogart Insurance Brokers. All Rights Reserved.